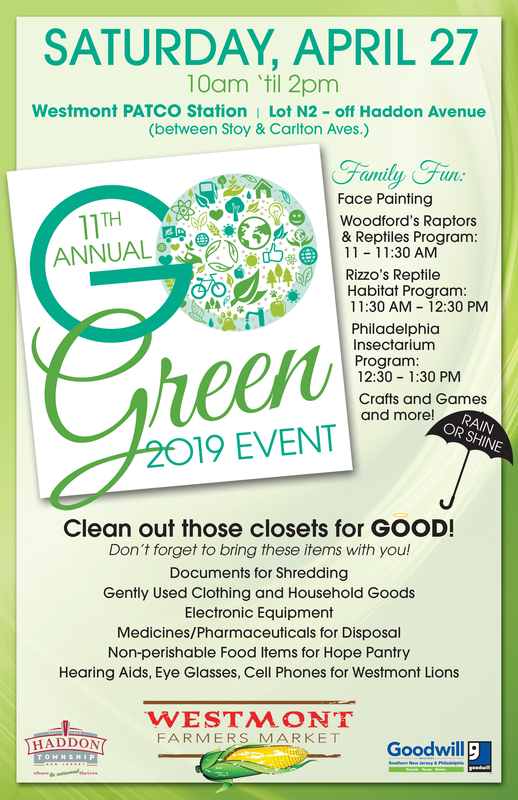 GET READY FOR THE 11TH ANNUAL GO GREEN EVENT! 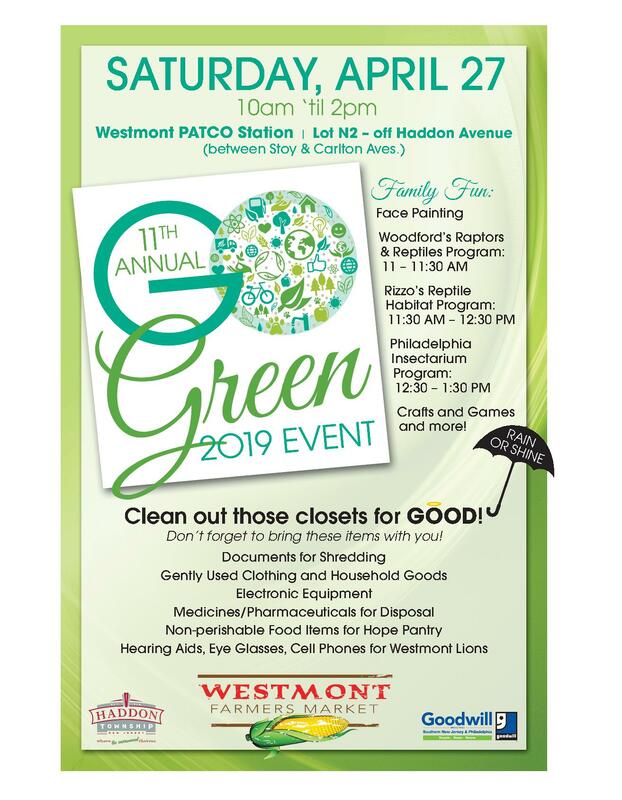 To learn more about the Go Green Event and local sustainable happenings, check out our Facebook page, Sustainable Haddon Township. Haddon Township is a SILVER certified Sustainable Jersey community. Haddon Township is one of only 27 communities in New Jersey to have achieved a silver level of certification. (Currently, a gold level of certification does not exist.) To become Sustainable Jersey certified, the Township had to complete a balance of rigorous sustainability actions. To get involved with the Township’s Green Team and sustainability initiatives or to receive updates on sustainable happenings, contact Barbara Prince, email bprince@haddontwp.com or call 856-833-6262. 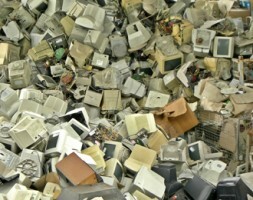 Find out more about green happenings on our Facebook page! Is your Township organization looking to raise funds? Local organizations can assist the Township’s Environmental Commission with scheduled monthly clean ups and earn up to $500 keeping the Township clean and green! Funding is limited and must be prescheduled. For details, contact Clean Communities Coordinator Barbara Prince, bprince@haddontwp.com or 833-6262. Preference will be given to groups that have not received a grant in the past, and are a first come basis. 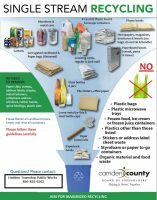 Haddon Township participates in a single stream recycling program. 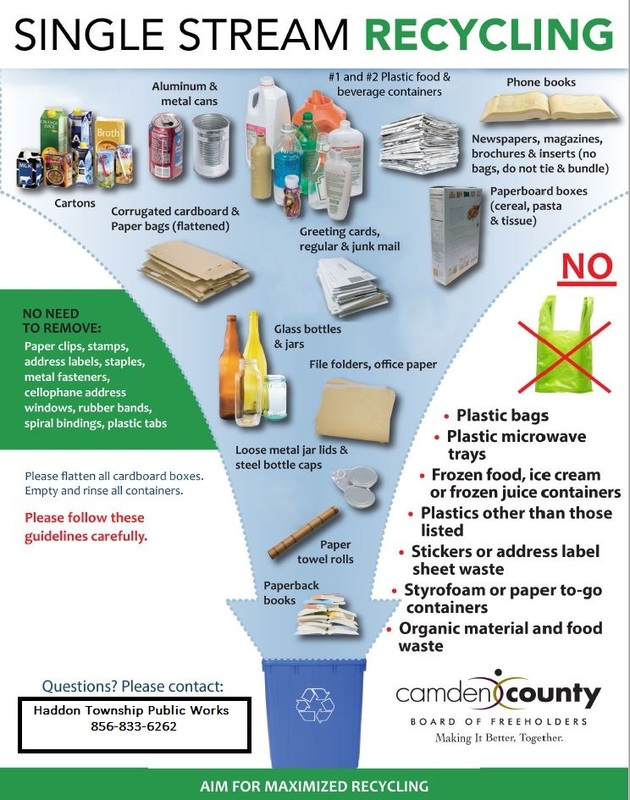 Single stream recycling enables residents to place all paper/cardboard and commingled materials (glass, #1 & #2 plastics, milk and juice cartons, aluminum and steel) together in one recycling container.